The brand Creative has been synonymous with the PC speakers like the Inspire and GigaWorks series. But as people change the way they use desktop (or not use them anymore), the demand for PC speakers have fallen gradually over the years. 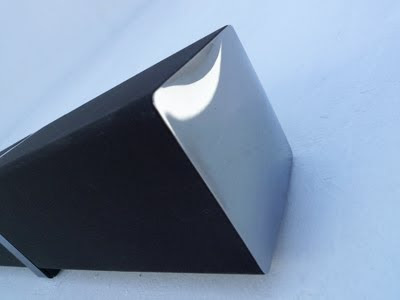 To respond to emerging new trends like netbooks, iPads and your various mobile devices, Creative have introduced a whole range of single piece wireless speaker. And leading the pack is the ZiiSound D5. The ZiiSound D5 despite what its name suggest does not contain a Zii chip for its audio processing. Instead, the ZiiSound brand is simply a brand reserved for Creative's new top-of-the-line speakers and there is a good reason for that. The ZiiSound D5 is in general very un-creative. The look and build of the speaker is a huge departure from your normal desktop speaker (like say the GigaWorks T3). Instead of plastic, the ZiiSound is made up of a single piece of solid wood, encase in cloth like netting. The speaker is slightly elevated at the bottom (for audio projection i presume) and the side of the speaker are cover with mirror like metal. It simply feels solid and look classy. Now that we know the speaker looks good, how does it sound? 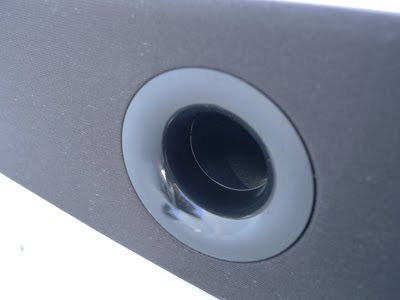 Encased in the ZiiSound D5 are 2 high performance driver and at the back of the speaker is a small bass port. Honestly, when I first got my hands on the speaker, I was really surprised at how small the ZiiSound really is. And the surprise continues when I started streaming music onto the ZiiSound. Vocals reproduction are really clear and you can literally feel the bass coming out from the back of the speaker. In terms of loudness, the ZiiSound is a pretty capable speaker of bringing the house down when switched on to the max (which I only had the opportunity to do once for the sake of testing). Usually, there is no need for you to go over 50% of its volume level. That's how loud the ZiiSound is. Let's not forget the fact that the ZiiSound D5 is a Made for iPod/iPhone product. If you own a iPod or iPhone (yes it fully supports the iPhone 4), you would see how the ZiiSound D5 can really change your life. Simply connect the included BT-D5/bluetooth transmitter to your iPod and you can instantly stream music to the ZiiSound D5! The best part is that there seem to be no lost in audio quality although the music is being streamed wirelessly. That could be due to the apt-X audio codec that Creative chose to use for this product. 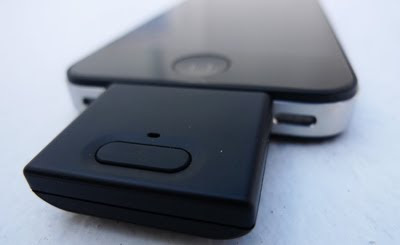 Docking the iPhone into the ZiiSound D5 will allow you to charge the phone and surprise, surprise, the music continues to be played wirelessly in the background. Yes, that's pretty magical. If a call comes in when the iPhone is docked into the speaker with music playing, the music will be gradually muted and the ringtone will be played both though the phone and speaker. The ZiiSound D5 unfortunately does not have a mic inbuilt to allow you to use it as a speaker phone. One negative point I realized about using the ZiiSound D5 with the iPhone is how cranky the volume control is. 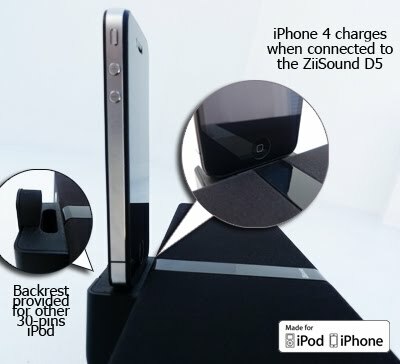 One increase on the iPhone will result in a large increase on the ZiiSound D5. And the touch volume control on the ZiiSound though fanciful isn't actually the most responsive and accurate control I have seen. The very significant difference between the ZiiSound D5 and other iPod docks is that the Creative one is basically a multi device speaker. 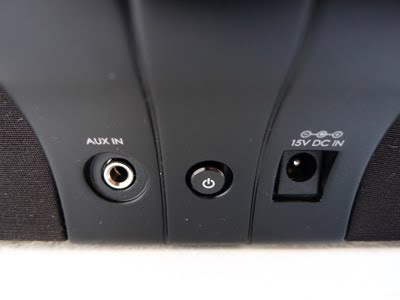 Besides the Aux-in option at the back (where you can connect any device with a 3.5mm audio jack), it also allows any Bluetooth devices to be connected to the speaker. You could also use the ZiiSound D5 with your laptop or desktop simply by using the on-board Bluetooth or Creative's own BT-D1 bluetooth transmitter (not provided for this review) for easy and convenient audio streaming. I have been playing around with the ZiiSound D5 for the past few months and I honestly believe that this is one of the best sounding and looking speaker that Creative has ever manufactured. 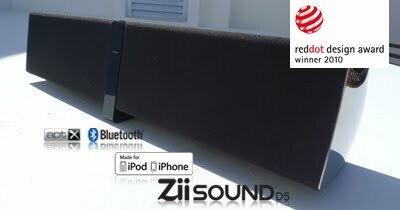 Like many, I was initially skeptical about the implementation of the wireless Bluetooth feature in the ZiiSound but I have been won over simply by how easy it is to connect to the speaker. If i were really to nitpick, I would have say that the cranky volume control and high price point are the Achilles heel of the ZiiSound D5. It would have been nice if there was also a control for the bass. Nevertheless, if you have the money, the ZiiSound is really a worthwhile investment for your house and you will be pleasantly surprised at how good sounding and easy to use the speaker is. How does it compare with the Gigaworks T3?